We all love to have some color on our patios and balconies; a splash of color can really make an area much more relaxing and inviting. But sometimes space is an issue and you may not have room for larger sized plants. Perhaps you live in an apartment or condo that isn’t on the ground level. 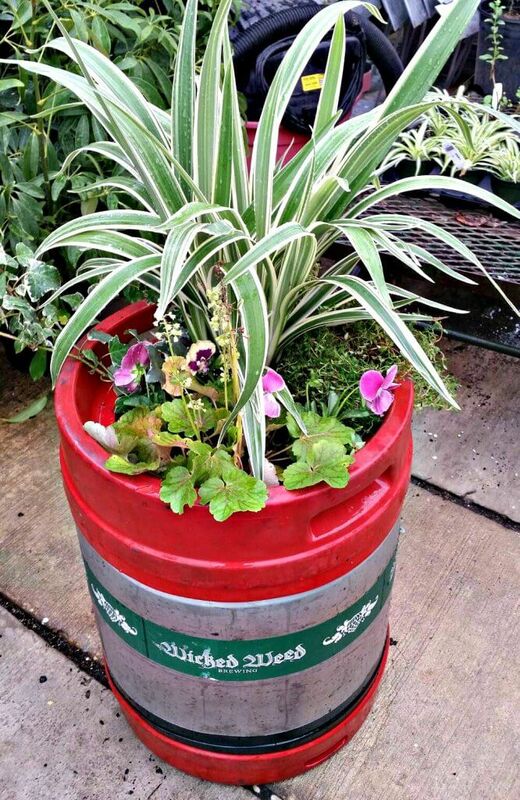 Regardless of where you live, container gardening is a great way to get your hands dirty and fulfill your urge to garden. Even the smallest, most simple container gardens can add interest to a dull garden spot! Take a look around your area and see how and where you can arrange some pottery. For example, would you like to have a grouping of three containers in a corner that have plants with a wide range of sizes and colors? Or would you like to have just a couple containers and formally place one in each corner? Also, don’t forget you can always have a wide, shallow container on top of your eating or side tables. If you live somewhere that has a balcony, think about hanging some window boxes on the railing. There are so many possibilities! Once you’ve decided where and how many containers you’d like, take a look at how much sunlight you get on a daily basis. Do you have trees around that give shade to the area or is it completely open with full sun? Also, if your area is open think about wind gusts; if you have a really tall plant in a somewhat small container, you risk that container falling over and possibly shattering. 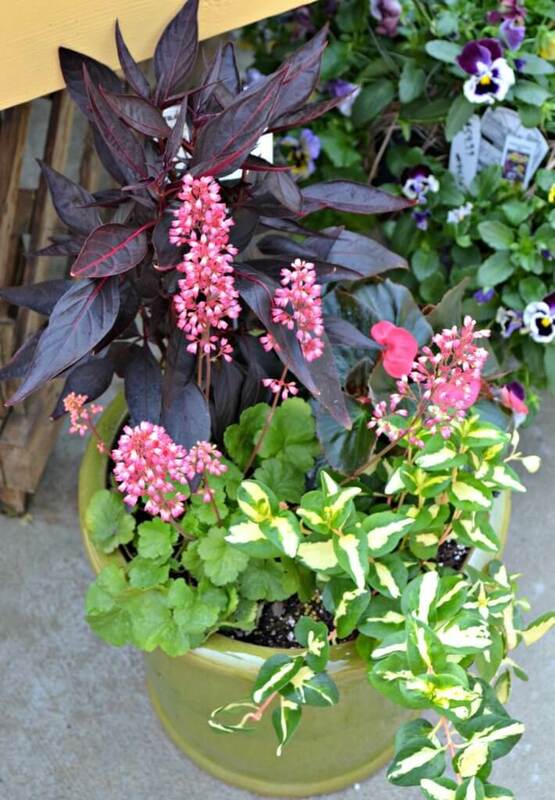 Container and Plant Selection: Adding a Burst of Color! Now comes the fun stuff! You’ve come to the garden center and you need to decide what color of container you want to use. Keep in mind a few things when choosing your container: Do you want to use a color that you already have in the area, such as the color of your table and chairs, or do you want to use a color that will stand out against everything else. Keep in mind what plants you can use in the container; if you have a shaded area, your colors are a little more limited than a full sun area. For example, shade plants are usually going to be in shades of whites, pinks, blues and lime greens, so pick a container that isn’t going to take away from your plant material. Also, think about size. If you’re putting together a few containers for a corner, consider having a large, medium and small container for added interest. How often are you going to be able to water the container? The smaller the container and the more sunlight it gets the more water you are going to have to provide. Also, a smaller container and more sun means more regular fertilizing. 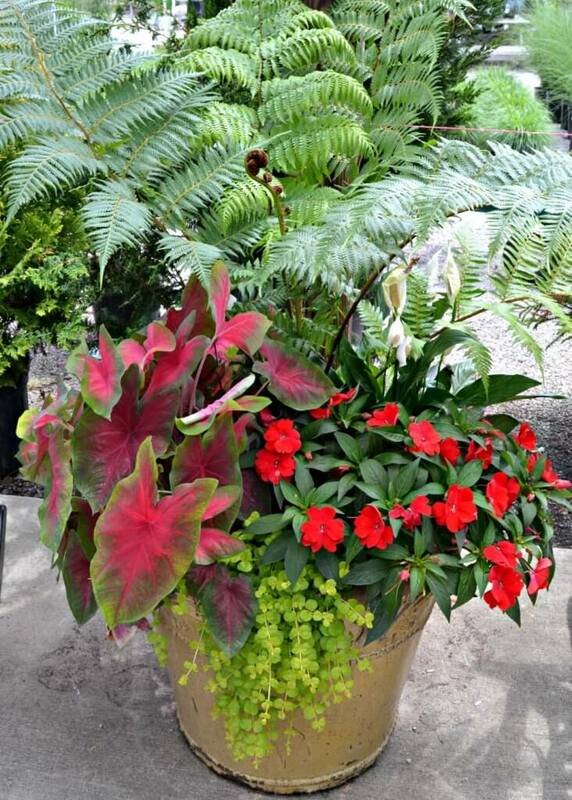 Quick Tip: Turn your containers once a week so the plants grow uniformly and not one sided. After choosing you’re container(s), now you have to decide what you want to put in it (them). Here at Fairview, we can help you decide what looks best (and will work best together) and will provide you with the most color and satisfaction all season. But if you just want to play around with a few plants and see how they look together, we have a great selection to choose from! Typically, you want to use an odd number of plants in you’re containers. It is also recommended to use three colors (plus the green from the foliage) in your arrangements; this way there isn’t too much going on in your container. Also, if you’re trying to keep the cost down (which most of us are) try implementing a few evergreen plants into your containers. 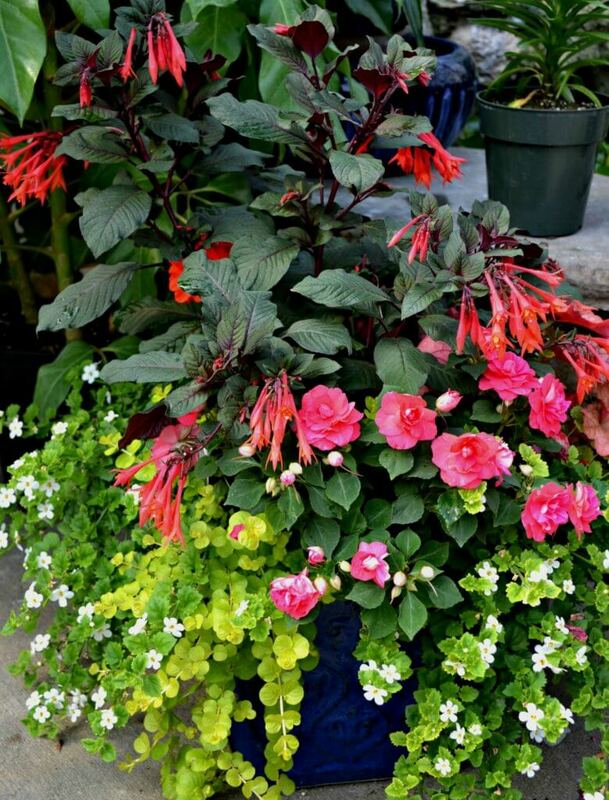 Soil: Always use a container mix or potting soil in containers. Please make sure you do not use garden soil or topsoil. If you choose the latter, most likely your plants will not perform very well or will die… so remember container mix or potting soil only. Also, you will need to replace the soil every time you redo your containers because all the nutrients from the soil will be gone. Watering: Most containers, especially in late spring and throughout the summer, will need to be watered at least once a day if not more. 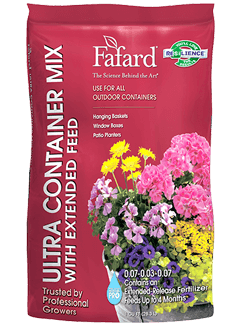 A good way to help reduce the amount of water needed in containers is to use a soil with a moisture control agent such as Fafard Complete Container mix or mix some Soil Moist into the soil you are using. Fertilizer: Depending on what you use in your containers, you will need to fertilize every two weeks if using a water soluble fertilizer such as Miracle Gro. 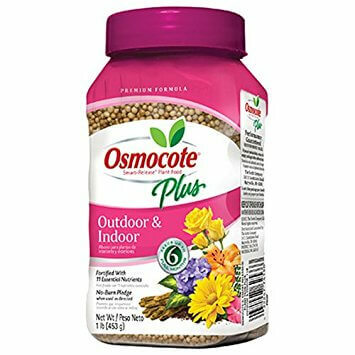 If using a slow release fertilizer such as Osmocote, the label recommends every four months. Although, here at Fairview we fertilize containers (with Osmocote) with flowering annuals at least once a month as they use a lot of nutrients. Plant Care: A lot of flowering annuals need to be deadheaded throughout their growing season. Read the tag for the plant(s) you use; if it doesn’t say no deadheading required, it’s best to assume it needs to be deadheaded. Also, it’s a good idea to keep the tags for the plants you use. The reason? If one plant performs really well and you want to plant it again, it’s easier to find the exact plant the following year. Just bring them with you and we will help you find those specific plants. Container gardening is one of the most rewarding forms of gardening as long as you take your time and make sure you follow these few simple steps. It’s a great idea to get your children or grandchildren involved when you are doing these projects; kids love to get their hands dirty, too, especially when they can watch what they planted grow.